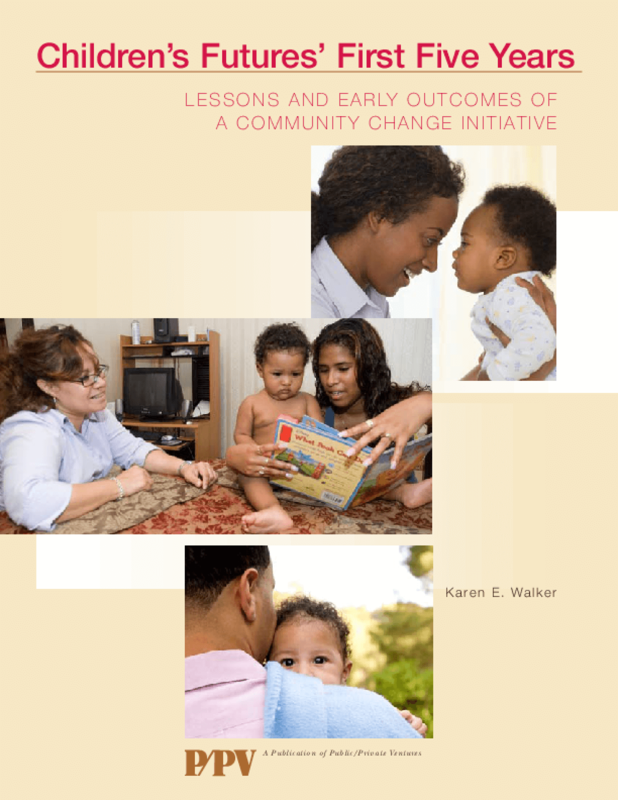 In 2002, The Robert Wood Johnson Foundation launched an early childhood initiative in Trenton, NJ, called Children's Futures (CF) to determine if focused efforts to bring about community change could make measurable differences in children's health and well-being and help ensure their readiness to enter school. The Foundation engaged P/PV to evaluate the implementation and outcomes of this ambitious initiative and to provide ongoing feedback on its progress. Children's Futures' First Five Years provides a summary of our findings, based on two longer forthcoming reports: Collaboration and Community Change, which investigates the initiative's major strategies and highlights collaborative practices, and Early Outcomes for Programs and Families in Children's Futures, which examines programmatic improvements and early outcomes for CF families.